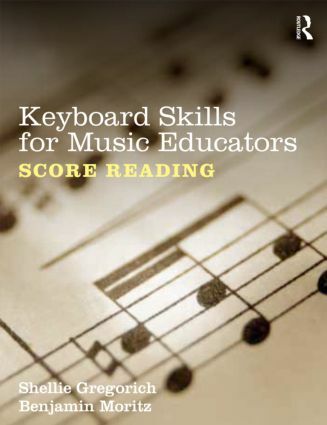 Keyboard Skills for Music Educators: Score Reading is the first textbook equip future educators with the ability to play from an open score at the keyboard. Score reading can be a daunting prospect for even the most accomplished pianist, but it is a skill required of all choral and instrumental music instructors. Although most music education curricula include requirements to achieve a certain level of proficiency in open score reading, standard textbooks contain very little material devoted to developing this skill. This textbook provides a gradual and graded approach, progressing from two-part reading to four or more parts in a variety of clefs. Each chapter focuses on one grouping of voices and provides many musical examples from a broad sampling of choral and instrumental repertoire ranging from Renaissance to contemporary works.